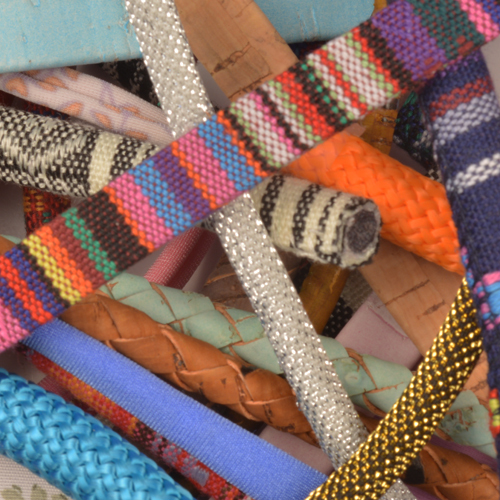 We know that having the right leather, cork or fabric beading cord for your bracelets or other jewelry can be just as important as the ceramic beads or metal sliders you put on the cord. 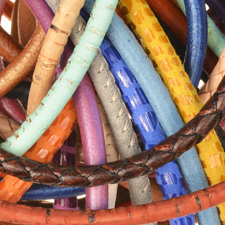 The quality of your leather supplies is the foundation for creating a memorable piece of jewelry for you or your friends. 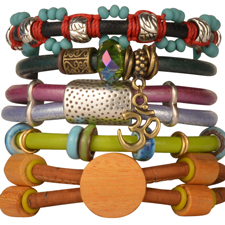 It's why we're happy to carry a wide variety of leather, cork or leather alternative cord components for jewelry design. 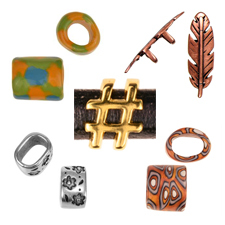 Try our round leather components for a more traditional look with some of our glass rings. Browse our flat leather or Portuguese Cork and find a style that suits you out of the many varieties we carry, or go for a unique design and try some Regaliz leather cord with our selection of accompanying Regaliz slides, clasps, and spacers. 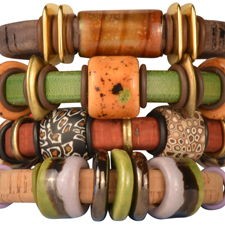 Why is leather and cork cord becoming so popular with it comes to jewelry making? 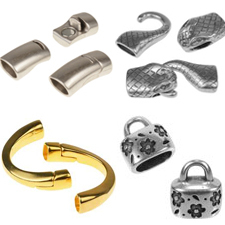 Not too long ago there was an overwhelming use of metals when it came to jewelry straps, chains, clasps, and more. 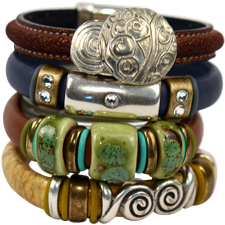 Nowadays, leather has moved to the forefront of jewelry design. 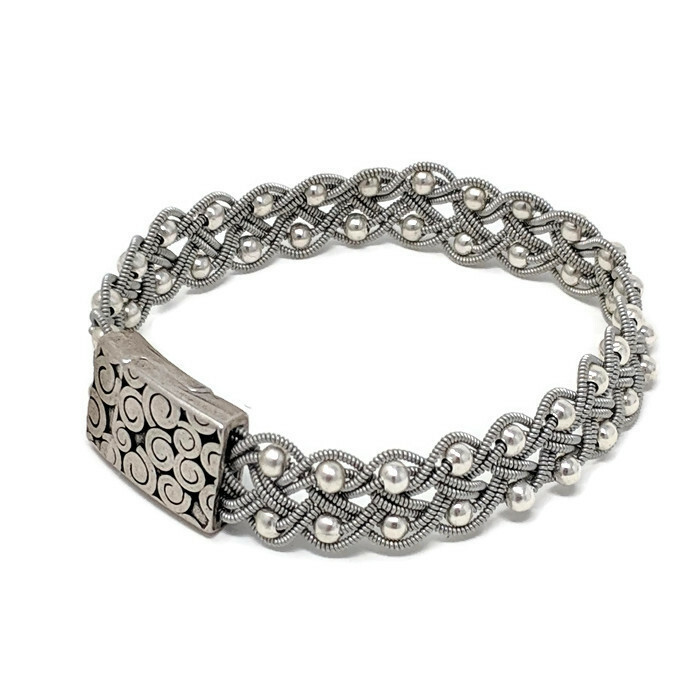 From an aesthetic standpoint, jewelry can be modified in more ways than metals. 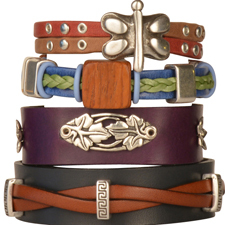 A variety of colors and textures give leather a noticeable versatility. Financially speaking, it is also much cheaper to produce and use leather or cork than metals. 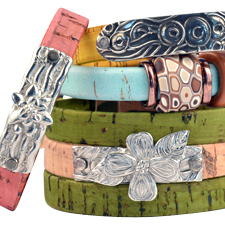 What are some reasons you like to use leather or cork for bracelets, crafts, and other jewelry? Contact us to tell us your stories! We'd love to hear from you!